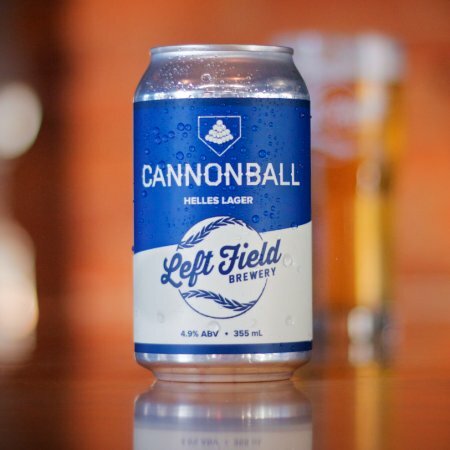 TORONTO, ON – Left Field Brewery has announced the return of a seasonal beer that was first available in the early days of the brewery. This beer was inspired by the legendary baseball talents of Ed “Cannonball” Crane who on one occasion, pitched back-to-back complete games and amazingly, also hit the game-winning home run. He led the Toronto Maple Leafs baseball club to their first international league pennant. Cannonball is brewed exclusively using German malt, hops and yeast. The result is a crisp Munich Helles-style Lager with a grainy cereal malt profile and a touch of honey sweetness. Cannonball is available now on tap and in 355 ml cans the Left Field taproom, with cans also available via the brewery’s online store while supplies last.